This time I'm reviewing "Astral Projection Made Easy" by E.J. Gold. Who can resist a book with that name? You can, and should. The book is 195 pages, which seems big compared to some of the recent books I've reviewed, but it's still a quick read. Every page really only has a paragraph or three, and the rest of it is taken by a photo from the author's workshops. The photos have strange captions, like "Etheric Body workout with E.J." which shows a classroom full of people, apparently giving their physical body a workout. Or people gathered around slot machines gambling in Reno, Nevada. There's literally a photo like this on every page, none of which seem relevant to out-of-body experiences except to tout the author's workshops. First Gold sounds serious, talking about how there are seven bodies, and how we need to learn to leave one before the next. The first body is the "organic (physical) body," followed by the "Etheric body," followed by the "Astral body." This is not unlike some occult traditions, like Theosophy, but Gold insists we need to learn to inhabit the Etheric body, and gain mastery of that first, before learning to travel in the astral body. Next, he openly admits that he didn't invent his technique; he learned it from other people. Then he goes off on a wild tangent about having created a special "Astral Projection headband" you can buy in several pricing levels, the most expensive being $225.00, which he calls the "High-Quality Astral Projection Headband with five Highest Quality Beta-Blocker devices". The cheapest model, "Profound Poverty Model," is only $35.00. They have no moving parts or electronics, but he says, "The Headband works First Time Every Time without fail." I wasn't sure if he was joking or serious. He was serious. After that, he describes a classic and popular OBE technique, "The Target Technique," in decent detail. This is actually a pretty good, thorough description of this technique. Unfortunately, that's the only technique described in the book, and the book's only redeeming value. Of course, you can make it easier by buying his headband. And you can buy his specially made target cards that are supposedly easier to find in the out-of-body state. Next, he goes back to talking about his headbands and how they're made personally by him, and how difficult they are to make, and that's why they're expensive. There are supposedly electronic components, but no power source. There are essential oils and fumigation, but they're covered up by laminate, so you'll never smell them. He "charges them up," although he doesn't say how, or with what. Next, he talks about how he's available for personal coaching--for a price. You can buy his personalized training for the price of a weekend workshop, only $275-$350. Then he addresses the problem of when you aren't sure if you've actually moved your etheric body. I'm sorry, but in my experience, if you're in your etheric body, you'll know it. Your physical body will be just another inanimate object in the room. OBEs are a LOT more than flights of imagination; I guarantee that, but Gold seems to think that you might not even realize you're having one! Now granted, a nonphysical component can be coaxed away from your body while you're conscious awareness is still inside your body. Author Robert Bruce talks about that. But if your consciousness is still in the physical, that's not an OBE. Much of the book is spent describing Gold's various workshops he conducts every year. In page after page he describes the different events, often going into casinos and gambling. And walking. And talking. And eating. And partying. And...and...where are the actual OBE techniques? Do they do that? He conducts a lot of workshops every year, for a price. Pages 164 through 172 are entirely dedicated to describing his art class called "Draw what you saw." Dressed in a thin disguise of wanting to draw your astral adventures, he'll show you how to draw portraits, landscapes, flowers, trees, houses, and anything else you see on the astral plane. Of course, you can also buy his books about sketching. "You can take the Trainer's Course at the same time and then when you're a certified trainer, you can teach Astral Projection in your home-town, or go on the road with a training tour." (pg. 163). What was that? Now he's promising--for a price--to make you a master and certified trainer of astral projection. You've got to be kidding me. Aside from the Target Technique, he never does tell you how to astral project. He gives some theories about Etheric projection (which I already said I largely disagree with), but aside from that, there's nothing. Just nothing. This book does nothing but sell, sell, sell, sell, sell you things: headbands, bracelets, books, workshops, personal training, or whatever. There's really no practical information about out-of-body experiences or astral projection. 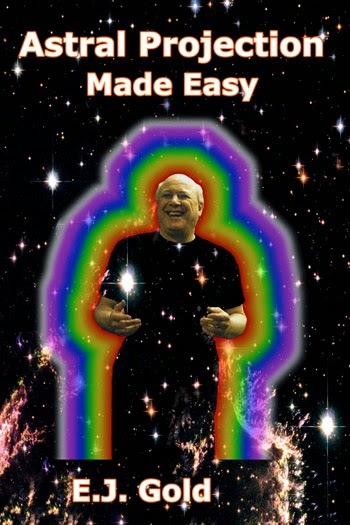 You're suckered in with promises of "Astral Projection Made Easy" when the author seems to just try for "Money Made Easy." I'm sorry for being so negative and cynical. For me, it's never been about the money. This guy is just over-the-top flimflam like I've never seen before in the genre. There's nothing to see here...move along. Thumbs way down. Searching for the #1 REAL MONEY SLOTS CASINO? Try out The Best Slots Casino.